As a kid growing up, the highlight of my weekend was going to Blockbuster and having the honor of choosing a film for my family’s weekly movie night. Blockbuster’s core business and operating model delivered value through operating conveniently located stores, maintaining a large selection of movies to choose from and optimizing prices to meet conditions of local markets. In the company’s dominant day, 70% of Americans lived less than a 10-minute drive away from a Blockbuster store. Unfortunately, Blockbuster never altered its business or operating model as competitive forces around the company changed until it was too late. So who benefited from Blockbuster’s lack of action? Enter: Netflix. In 1997 Netflix created a DVD subscription service to offer customers an alternative value proposition: Rent DVDs by mail. No due date. No late fees. Netflix delivered on this promise by operating a network of processing and distribution centers. Subscribers paid a monthly fee, set up a profile and created a list of movies they desired to watch. DVDs were sourced and mailed via the United State Postal Service when they reached the top of the queue. 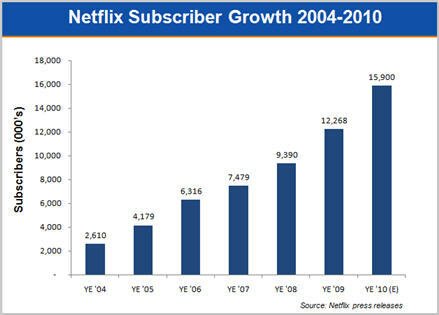 By 2006, Netflix had more than six million subscribers. Although the company had much to celebrate, a digital transformation was taking place. 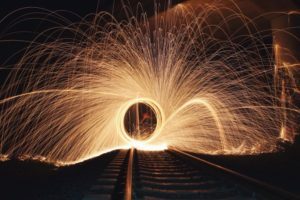 The percentage of United States’ households with broadband connection was rapidly approaching 50%. As the rise of the Internet and connectable devices commenced, how would Netflix alter its business and operating model to create and deliver value? Netflix’s CEO Reed Hastings famously stated, “ Companies rarely die from moving too fast, and they frequently die from moving too slowly”. Taking his own advice, in 2007 Hastings tweaked Netflix’s business model to include video on demand (VOD). VOD allowed customers to stream media instantaneously on their computers, set-top boxes and mobile devise connected to the Internet. As a result, the company altered its operating model to not only source and distribute DVDs but also negotiate licensing contracts with movie studios and content providers. Subscribers had the best of both worlds, VOD streaming and DVD rentals. In 2011 the company announced it was decoupling its DVD and streaming service. Customers would have to decide to subscribe to either or both services. By 2012, it was evident that Hasting’s change to Netflix’s core business model was the right decision. 2012 4th quarter profits showed streaming profits on a path to overtake DVD rental profits. Up until this point, Netflix has done a tremendous job taking advantage of opportunities and addressing challenges digital disruption has presented; but what more should the company consider implementing to remain ahead? Bet on virtual reality – With increased interest towards increasing the virtual reality experience, Netflix should take a more aggressive position expanding its virtual reality app. Infuse Netflix technology into broader culture – We have all heard of the phrase “Netflix and Chill”, but have you heard of the actual Netflix and Chill button? Netflix recently unveiled a prototype Netflix and Chill button that allows users to dim lighting, silence their smart phones and order food. Netflix should continue to introduce gadgets such as these that can not only add to the bottom line but also engrain the Netflix experience into pop culture. This strategy should be approached with caution, as it would move Netflix away from its core competency. Allow App Customization – As we move further into the digital era, customers love and have come to expect customization options. To further increase the Netflix experience, the company should allow for more app customization. “Netflix vs. Blockbuster.” Netflix vs. Blockbuster. Accessed November 17, 2016. http://amitadeshpande.blogspot.com/2010/12/netflix-vs-blockbuster.html. “It’s Official: Netflix Has Entered a “Virtuous Cycle” – VideoNuze.” It’s Official: Netflix Has Entered a “Virtuous Cycle” – VideoNuze. Accessed November 18, 2016. http://www.videonuze.com/article/it-s-official-netflix-has-entered-a-virtuous-cycle-. “Blockbuster Becomes a Casualty of Big Bang Disruption.” Harvard Business Review. 2014. Accessed November 18, 2016. https://hbr.org/2013/11/blockbuster-becomes-a-casualty-of-big-bang-disruption. Kalogeropoulos, Demitrios. “The Netflix Turning Point You’ve Been Waiting For.” The Motley Fool. Accessed November 16, 2016. http://www.fool.com/investing/general/2013/01/28/the-netflix-turning-point-youve-been-waiting-for.aspx. “How Does Netflix Pay Studios? What the Streaming Giant Does to Obtain Content.” Accessed November 18, 2016. https://mic.com/articles/134272/how-does-netflix-pay-studios-what-the-streaming-giant-does-to-obtain-content#.PM6c2Enbk. Etherington, Darrell. “Netflix Wants 50% of Its Library to Be Original content.” TechCrunch. 2016. Accessed November 18, 2016. https://techcrunch.com/2016/09/21/netflix-wants-50-of-its-library-to-be-original-content/. I completely agree that Netflix has remained agile and flexible to preempt and respond to technological changes. To your point on Netflix’s success with producing content in-house, that’s also another great example of how Netflix successfully leveraged technology to their advantage. Based on all the data they had been collecting on viewer preferences, they were able to predict receptivity and popularity of “House of Cards.” With data from 27 million subscribers in the US, Netflix knew a large population was interested in three things (Mr. Fincher’s work as a director, films that featured Kevin Spacey, and the British version of “House of Cards”) and found the intersecting point with “House of Cards.” It really is quite remarkable how Netflix has been able to collect such a large database of information on its subscribers and run enough predictive analytics to turn it into one of the most profitable TV shows. One question I had for you was regarding the app customization. Do you mean customization around the UX/UI or the content? While users in general like personalization, I would argue that from a user experience perspective, having a standard work flow could actually work in Netflix’s favor in setting expectations. Netflix should continue to integrate technology into their culture so that they continuously improve their predictive algorithms for content recommendation. Fergie, This is an excellent and well written post about how Netflix has stayed on the fore-front of innovation in the entertainment industry. In your post, you speak to the competition that Netflix has encountered in content acquisition. Interestingly the company has experienced net cash outflows (free cash flow) each of the last four years including an almost $1 billion outflow in 2015. Do you think Netflix can sustain continued cash deficits for the forseable future as it seeks to compete in content acquisition and to fund costly internal development projects? You also speak about virtual reality as an opportunity for the business, I am interested to hear more about how Netflix will be able to influence this segment of the market. 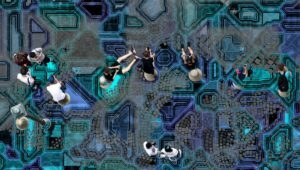 Can the business accelerate technology advancement of virtual reality devices and/or accelerate consumer adoption of VR experiences? This reminds me a bit of the decision that Valve faced. Great post Kevin! In hindsight its easy to see how Netflix adapted in order to outgrow large, slow-moving incumbents like Blockbuster, but looking forward it is not so easy. 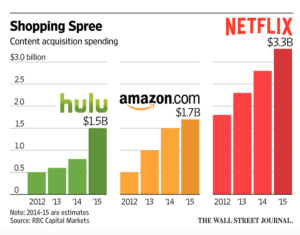 I wonder what the next massive transformation in the media streaming / viewing industry will be? And I wonder if Netflix will be able to embrace it, or if they, similar to Blockbuster, will be made irrelevant by someone newer and faster? I was shocked to hear about Netflix’s 50/50 goal of eventually streaming half of their own content. For a company who entered the space as a distributor of media, its pretty wild to see them having success in actually producing their own media. I wonder what tools enabled them to be so successful at producing their own media. Do you think access to the data of all of Netflix’s subscribers, and what they watch, how they watch, when they watch, etc., was the secret weapon that allowed Netflix to enter the content generation business so quickly and successfully? Nice post Ferg. Two thoughts / comments come to mind here as a Netflix subscriber myself. The first is, how do you think about VR and 3D, which to me is a consumption method question of individual / headset (VR) vs. communal / social / living room (3D)? I think VR will eventually become important, but as you said, thinking about broader culture, Netflix feels to me like a company whose content should not be consumed individually, but rather in a group / couple / family setting. To that end, I might recommend a focus o 3D before VR. The second thing that comes to mind when I think Netflix is the necessity for a strong internet connection to stream content. For years I’ve been hoping that Netflix would release a Spotify-like download capability (even if limited to no more than X hours at a time) to allow me to consume content on-the-go, or on a plane, etc. without the need for a constant connection in order to stream. I think that would increase to customer value-prop and allow Netflix to continue its rapid growth. 1. New competitors with deep buckets like Amazon. Netflix was able to take down Blockbuster’s business model, but will it be able to outmaneuver Amazon in its own game? Will it be consistently able to capture the best shows and movies away from all other streaming services? And as the market becomes more and more atomized, will it be able to keep its prices high? 2. Vertical integration of content owners: HBO already has a huge arket with HBO GO, what will happen when Fox, Universal, MGM, Disney, and so on, decide to launch their own platforms? Will Netflix be able to come up with new “House of Cards” to keep the subscribers rolling? As you said, they have the entrepreneurial attitude and the big-data to overcome a new wave of transformation. Time will tell if they make it. Great post, Kevin! It will be very interesting to see how Netflix attempts to branch out into other areas without directly competing with large, well-known firms with deep pockets and resources. Would it be in Netflix’s best interest to collaborate with companies like Apple or Google who are already most likely dedicating resources to explore virtual reality? While infusing Netflix into the broader culture seems logical, wouldn’t a product like the “Netflix and chill” button put it directly in competition with existing products like Amazon’s “Alexa”? I agree that Netflix has done an excellent job of staying ahead and changing with the times. I hope that they can keep this up and spread into more areas of entertainment. I agree with your ideas for what Netflix should try next. I think that the “Netflix and Chill” button sounds very interesting. Expanding the buttons capabilities and integrating it with other home automation products like Nest makes could lead to some very cool innovations. Great post Ferg! 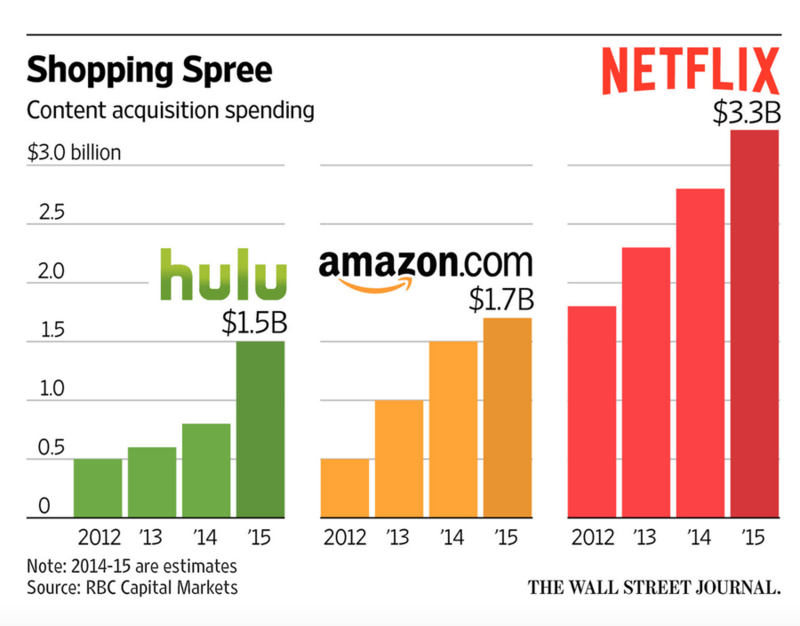 Netflix is one of the companies I always think of when I look to companies who have taken advantage of digital. I think one really cool opportunity Netflix has is with the machine content and the creation of new content. One of the great successes of Netflix is their suggestion algorithm which shows users other shows they may be interested in given the shows and movies they have watched. Netflix has been investing in creating content of their own to keep users engaged while not spending exorbitant fees on content acquisition. As they develop more story-lines, I think there is a cool opportunity to use machine learning to determine what shows are worth investing in. I’m excited to see what Netflix does to remain relevant with so many competitors in this space!! Netfix is also exploring international show as part of its 50-50 initiative to cater to the international market. I am sure that this initiate is going to help Netflix even faster. Thanks for sharing this Ferg. I could definitely relate to this post as I remember going to Blockbuster every week with my family as well. I think the Blockbuster case is the ultimate example of being too slow to adapt to changes in technology. What I remember most from their slow destruction was the fact that they had an opportunity to adjust to the changes in media consumption but were still too hesitant to abandon their traditional operating model. On the other hand, I see Netflix as the prime example of successful evolution with their decision to shift from DVD’s by mail to streaming video on-demand. I think that their initiative to develop their own content is extremely important to sustaining their competitive positioning in the marketplace, but I worry that their ultimate success may depend on their ability to continue to make hit series such as House of Cards and Orange is the New Black. Nevertheless, I will be very interested to see how their business strategy continues to adapt with changes in technology.